The husband and I had brunch at Jones the Grocer in Mandarin Gallery over the weekend. This was my first time to visit the Orchard branch, and it has the same bustling industrial yet charming feel to the place like the Dempsey branch. 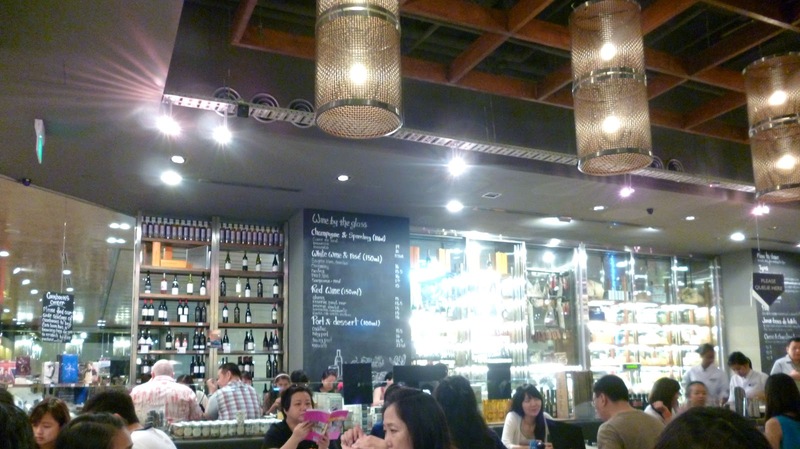 The place itself has a certain appeal that draws in a crowd for casual meals. 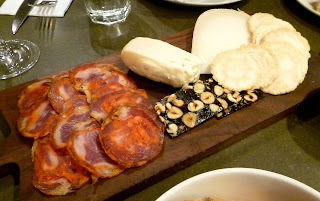 For starters, we had the Cheese and Charcuterie Board (SGD 29.00) where we had a choice from any 3 cheeses or meats. 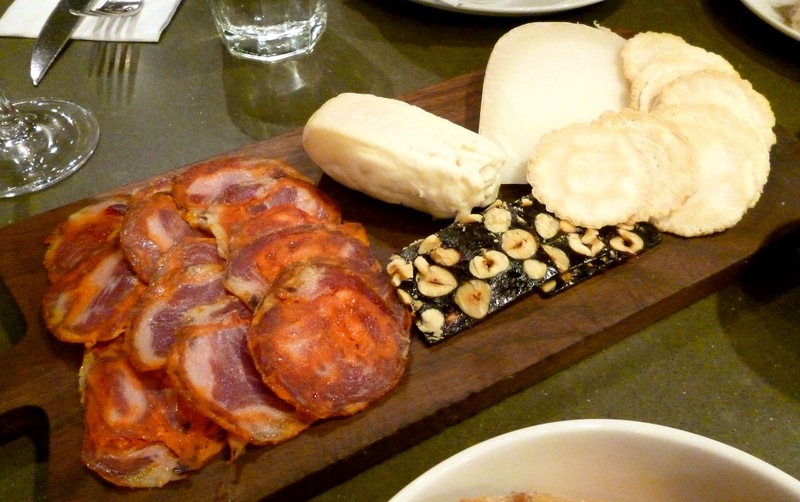 We had the Iberico chorizo, gorgonzola piccante cheese from Italy, and balarina cheese from Holland. The cheeses were outstanding. The chorizo however did not have that melt-in-your-mouth quality as I was hoping for from an Iberico cured pork. I also ordered truffle honey (SGD 4.50) on the side which went absolutely perfect with the cheese. 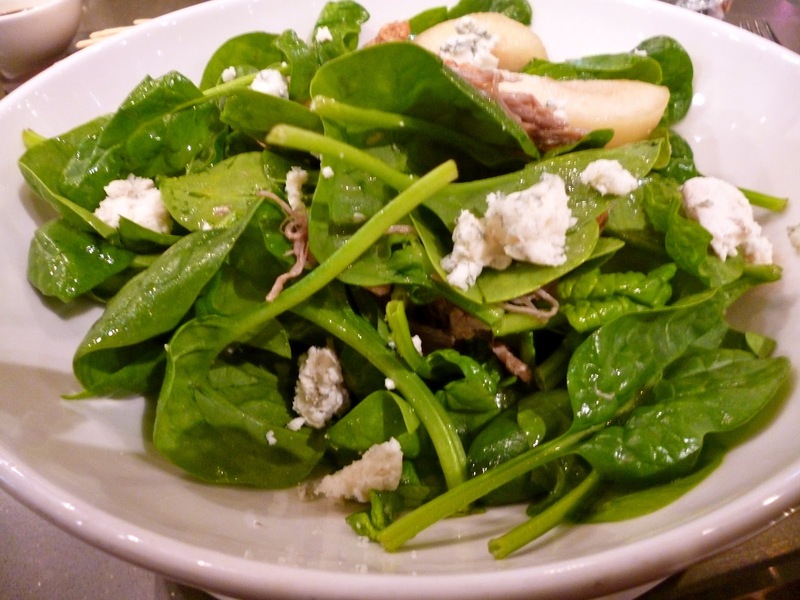 We had the Duck Confit Salad (SGD 16.00) which had spinach leaves, shredded duck, blue cheese, pears, and candied walnuts. I thought the use of duck was unnecessary as it did not really add to the flavor or texture. However everything else was enjoyable, especially the lovely candied walnuts. 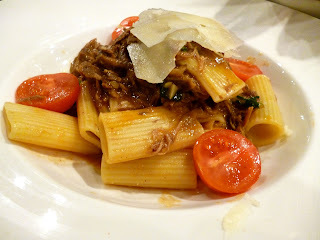 Last of our orders was the Rustichella Rigatoni Pasta (SGD 28.00). This was nothing great, and was a rather lack luster pasta. It was also definitely too pricey for the quality and serving size. Definitely not a dish to be repeated. The gorgonzola and balarina cheese dipped in that wonderfully sweet truffle honey were top notch and the most memorable of the lot. Though the other brunch dishes were nothing exceptional, I find that great cheese plates are pretty hard to come by (yes I love cheese that much!) so I don't mind going back just for that. First of all, it's an amazingly awesome source of good. These foods looks yummy. We import the finest gourmet specialty foods from Online Gourmet Stores around the world, primarily the Middle East, Mediterranean region and Europe.